Based on Don DeLillo's novella The Body Artist, the film swirls around a self-centred filmmaker (Mathieu Amalric) who, during a screening of one of his films, wanders into an adjoining gallery and becomes mesmerized by a young performance artist (Victoria Guerra). Dumping his leading lady and long-time lover, Rey embarks on a wild and delirious affair with the equally willing Laura, who jumps on the back of his motorcycle and rides with him into instantaneous love. Holed up in Rey's remote country mansion, the couple appears to have found bliss — until, one day, Laura is disturbed by strange noises that turn out to be a prelude to disconcerting developments. The dreamlike world the two have constructed slowly begins to come apart.
" 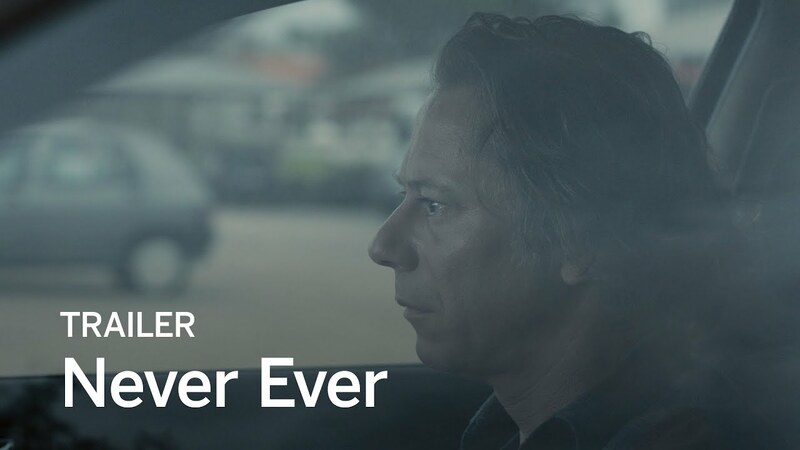 Never Ever ... represents a striking breakthrough by novice co-star, and the film’s writer, Julia Roy." "[B]reakout scripter-star Julia Roy ... adds her own enigmatic shading to proceedings via her terrific leading turn as a grief-stricken performance artist preserving her husband’s presence in more ways than one."